Home Arts-Theater What Are Your Ideas for the Redesign of Restoration Plaza? and the Studio Museum in Harlem’s new home, now being built. Bedford Stuyvesant Restoration Corporation President Colvin Grannum is aiming to incorporate new purpose and services into its mission. “We recently finalized our five-year strategic plan to help disrupt and close the racial wealth gap based on the tenets of excellence, collaboration and innovation with the community remaining at its core,” says a statement front and center on the Corporation’s website. These will be a Center for Personal Financial Health, Center for Community Asset-Building, Center for Social Entrepreneurship and Enterprise and RestorationART. The vital services to be offered there appear wide in scope and depth – good news indeed for the community! 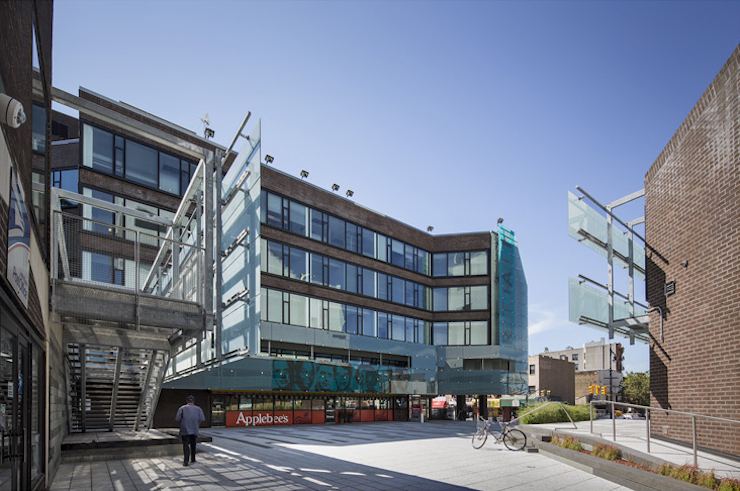 Summaries of each can be found on the website, where we can keep up-to-date and also weigh in with ideas for the look and features of the new Plaza. President Grannum is looking forward to the input. “Restoration is hosting briefings and focus groups to gather community feedback from local residents, business owners, nonprofit leaders, community leaders, and elected officials,” said Grannum. “One briefing has already been convened for elected officials. A focus group was held on March 26th for a range of community stakeholders, including residents. An exciting announcement is that the plaza project will be helmed by the great David Adjaye. 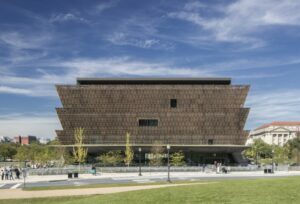 He is the architect responsible for the design of the National Museum of African-American History and Culture in Washington, D.C., the Nobel Peace Center in Oslo, Norway, and the new home currently being built for the Studio Museum in Harlem, among many others. Thankfully, Bedford-Stuyvesant is sure to have a beautiful and inviting new area that community members can navigate and celebrate before long.